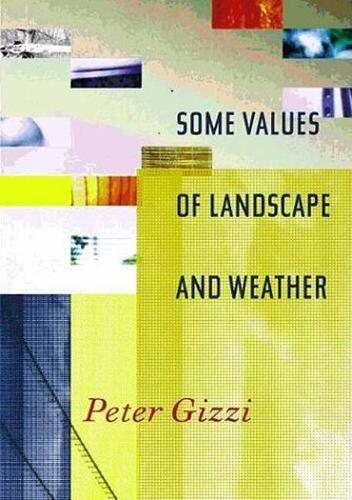 Peter Gizzi's poems move between bewilderment and understanding, anger and astonishment. 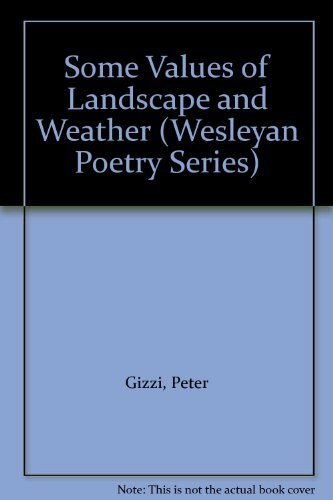 His third book in a decade, Some Values of Landscape and Weather revives poetic architectures such as elegy, song and litany, to build what he calls "a comprehensive music." Here musical and pictorial values perform against a backdrop of political, social and ethical values. These intense and exacting poems traverse a landscape of cultural memory that opens into the explosive, vibrant registers of the now. John Ashbery has written that Gizzi's poems are "simultaneously all over the page and right on target. He is the most exciting poet to come along in quite a while."